Construction of the Chapter-house at Salisbury Cathedral was begun in 1275. Llywelyn ap Gruffydd of Wales had consistently failed to do homage to King Edward I. He had been paying sums of money to the English crown as agreed in the Treaty of Shrewsbury drawn up in 1267 but after the death of Henry III the payments had stopped. Edward's repeated demands for a meeting with Llywelyn were ignored. In an attempt to stir up internal problems in England Llywelyn sent to France for Eleanor de Montfort who had been promised to him as a bride for his support of Henry III in the Baronial revolt against the English King. Eleanor was captured by the English on the journey and was then held prisoner by Edward. Edward finally had to accept Llywelyn as a rebel and so began his war on the Welsh. Feudal levies were called for in June 1277 allowing an army to be raised via the feudal system to supports the King's war with the Welsh. Edward I spent large sums of money improving the fortifications at the Tower of London. A new moat was dug and a curtain wall was built around it. The land between the Tower and the river was levelled and new apartments were built on the shore. Edward had a complex of gates added which meant it was extremely difficult to attack the castle through the main land entrance. Edward I ordered the Jews to stop lending money and charging high rates of interest (usury). Instead, Edward suggested that the Jews should become farmers or learn crafts to earn a living. The Church controlled many of the trade guilds so it was impossible for the Jews to join and it was not possible for them to suddenly learn how to farm land. This led to hardship for many and some resorted to coin clipping. This meant shaving small amounts of metal from coins and melting the shavings down to sell for profit. Margaret, the wife of Alexander III, died in this year. The church at the top of Glastonbury Tor was badly damaged by an earthquake. The Statute of Westminster, drawn up between Parliament and King Edward I, defined the legal privileges that landowners were allowed. These were based on the investigations carried out in 1274 into the landowners rights to own their land. Before the main army could be assembled Edward ordered that the Marchers and the smaller permanent forces attached to the royal household were to be sent out in three detachments. Although not much headway was made in the north the south and central districts abandoned their allegiance to Llywelyn. Roger Mortimer was able to force Llywelyn to retreat from Powys northwards. It was soon clear that the only area the Llywelyn had any control over was the north of Wales. King Edward I ordered improvements to be made to the castle at Builth. King Edward I of England granted Ruthin to Dafydd, the brother of Prince Llewelyn ap Gruffudd in return for his help against his brother who have been attacking English interests in the north of Wales. Construction of Ruthin Castle may have begun under the direction of Edward or Dafydd himself. Edward I called for feudal levies to be collected to pay for his war against the Welsh prince who had repeatedly refused to pay him homage. As part of the plans to defeat Llywelyn Edward I ordered the construction of Flint Castle in Clwyd. 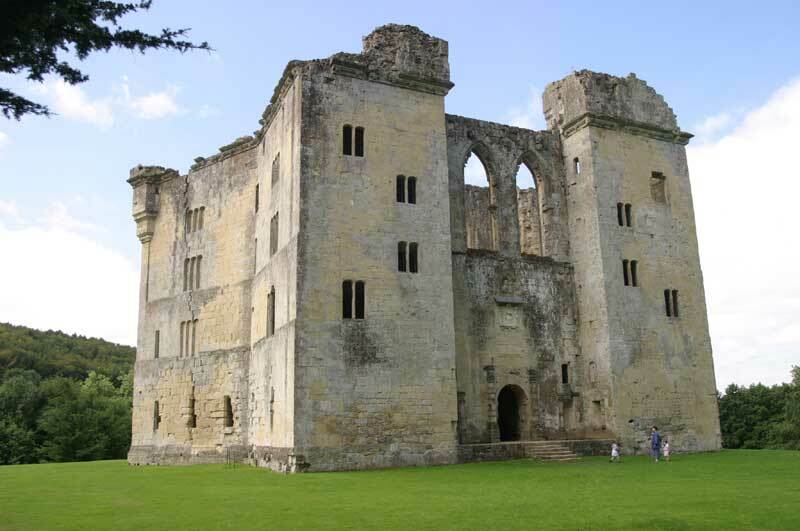 Edward had been impressed by fortified town and castle combinations he had seen on his travels in France and Flint Castle was designed in the same manor. The castle was completed in 1280. Joined by a force of some 800 cavalry and 2500 infantry at Worcester, King Edward I moved north to Chester. Edward's forces then proceeded to move along the north coast of Wales. His advance was impeded by dense forest which offered the Welsh good opportunities to launch surprise attacks on the English troops. Edward built a wide road through the forests building fortified posts along the way. The force of soldiers were on a forty-days service agreement and after that some returned home. Edward retained some by paying them extra for their services. Leaving work on Flint Castle underway Edward I moved on up the coast to Rhuddlan where he found the remains of an old Norman Motte and Bailey castle overlooking an important crossing point of the river Clywd. 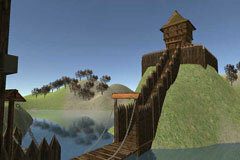 A new castle was ordered and work began to create both the castle and a new town alongside. Edward and his wife Eleanor of Castile laid the foundation stone of the Cistercian Abbey of Vale Royal in Cheshire. Llywelyn was cut off from supplies and an escape route so had to accept defeat. Edward demanded payment of £50,000 and all of Llywelyn's territories. Llywelyn was left only with the Isle of Anglesey which he had to pay rent of £1,000 a year. Edward also demanded that Anglesey should be handed over if Llywelyn died without a male heir. Llywelyn swore fealty to Edward at Rhuddlan on November 10th and again at a ceremony at Westminster Abbey on Christmas Day. This Cistercian abbey in Devon was colonised by monks from the abbey on the Isle of White. Amicia de Redvers was responsible for its foundation in memory of her husband and son who had died. King Edward I raised the penalty for coin clipping from banishment to execution. Many Jews were arrested in London for coin clipping and almost 300 of them were executed for the crime. The practice entailed cutting slivers of metal off coins and forging new coins from the small pieces. King Edward I and Queen Eleanor visited Glasonbury Abbey and ordered that the tomb of King Arthur be opened for their inspection. In a ceremony the remains were taken to the high altar and then reburied. With peace between Edward and Llywelyn, the marriage between Llywelyn and Eleanor de Montfort was allowed to continue. The marriage took place at Worcester and was attended by Edward. Edward I had new coins minted. (To help fund Welsh campaigns?). The coins were so popular abroad that Edward had to ban any export of coins. Foreign fakes flood England. Edward I was concerned that the Church was becoming too wealthy at the expense of the country. To counteract this the Statute of Mortmain stated that land being given to the church must be done by royal approval. Land that had been donated to the Church in the past had reduced the tax revenues for the King. Rebuilding work on the South Transept and nave of Rochester Cathedral commenced in 1280. Edward I was responsible for the construction of the Beauchamp Tower at the Tower of London on the western side of the curtain wall. It got its name later on in 1397 when Thomas Beauchamp was imprisoned there by Richard II. The three storey tower was large enough to hold not only the captive, but members of his household as well. It has been used to hold other important prisoners since. Another castle was built by Edward I's master castle builder, James of St. George in North Wales. When Dafydd ap Gruffyd rebelled against King Edward the Welsh area Dyffryn Clwyd became was granted to Reginald de Grey as a Marcher Lordship. Reginald was granted the castle at Ruthin. David ap Gruffydd attacked and took control the castle at Hawarden. The constable, Roger de Clifford, was captured during the attack. David, Llywelyn's brother, rose up in revolt. Llywelyn, even though he had sworn fealty to Edward, joined his brother in the fight against the English. King Edward had called for the feudal army to gather at Rhuddlan in August to put down the Welsh revolt. Edward and Eleanor's daughter Elizabeth was born at Rhuddlan at this time. Luke de Tany, on the side of the English, had taken control of Anglesey. The plan was attack the Welsh rebels from the north and so a bridge of boats was constructed across the Menai Straits that separate Anglesey from Wales. The Welsh were waiting for the English in force and the English plan failed. Many of the English knights drowned when the boat bridge was destroyed. Whilst fighting in the south of Wales Llywelyn was killed. He had moved to the rear of his army feeling secure with the way the war was progressing. A detachment of English found a way across the river Wye which Llywelyn was using for protection and moved around the rear of the Welsh army where the Prince was. Before Llywelyn could rejoin his army he was cut down and killed. His head was cut off and taken to the King Edward. Llywelyn's brother David carried on the fight against the English for another six months. 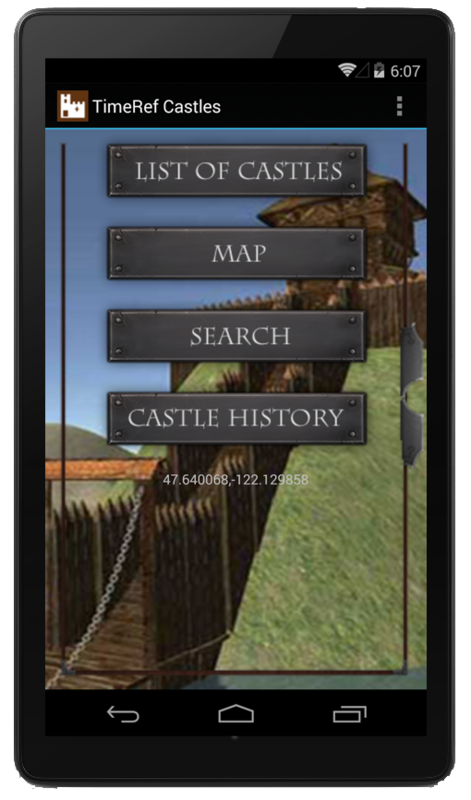 Edward and his master castle builder started the reconstruction of a new castle at Caernarvon. After the death of Lleweyln Edward was free to occupy all the previous strongholds of the Welsh Princes. In 1283 Edward attacked and captured the Welsh castle at Dolyyddlan. Edward moved around the Welsh coast to attack and capture the Welsh castle at Criccieth. He then moved on and ordered another castle to be built at Harlech. In the summer of 1283 King Edward provided money to improved the defences at Criccieth Castle. 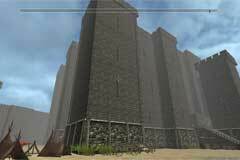 Work began on Harlech Castle. Money for the construction being moved from Cymer Abbey a few miles to the south of the new castle's location. David the brother of Llywelyn was handed over to the king by his own supporters who had already surrendered. He was taken to Shrewsbury Castle where a Parliament met and sentenced him to death by execution. Dafydd was found guilty of high treason and sentenced to death. His punishment for betraying the King was to be drawn, hanged and quartered. King Edward I arranged a 'Round Table' event and tournament at Nefyn in Wales. He promised the Welsh that he would provide them with a Prince of Wales. This he did as in 1284. Edward, the future King Edward II of England, was born. The young prince would be invested as the Prince of Wales in February 1301. The first college at Cambridge University was founded in connection to St. John's Hospital. It was and still is called Peterhouse and was founded by Hugh de Balsham, bishop of Ely. After the second Welsh rebellion Edward decided to bring Wales under direct rule. The Statute of Rhuddlan brought English laws to Wales. Edward appointed sheriffs and bailiffs for the northern territories while the southern areas were left under the control of the Marcher Lords. Edward, the future king of England was born at Caernarvon Castle on the 25th April, 1284. His father was Edward I and his mother was Eleanor of Castile. The castle was probably still under construction as work on it had only begun the year before. Because all of Alexander's sons had died there was a threat that a fight would break out for the Scottish throne. To ensure a smooth transition it was decided that Alexander should remarry. Alexander married Yolande, the youngest daughter of Robert IV, Comte de Dreux in the hope that she would give him a son. Edward I travelled around his duchy of Gascony between 1286 and 1289 rebuilding fortifications and generally bringing order to the region. Building work on the Chapter-house of York Minster took place until 1296. A large storm hit the south coast of England. Winchelsea old town which lay on low lying land was totally destroyed by the violent storm. In the summer of 1287, Rhys ap Maredudd, the Lord of Dryslwyn rebelled against King Edward I. The King replied by taking an army into Wales and besiged Dryslwyn Castle. 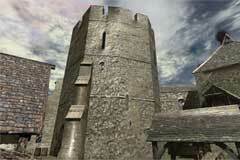 The seige lasted three weeks before the castle fell after the curtain walls were undermined. After Dryslwyn Castle fell to the English, Rhys ap Maredudd fled to Newcastle Emlyn Castle. 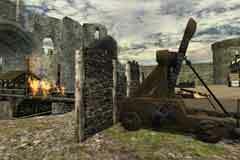 The English took their siege engines to the castle and a siege began. When the castle fell Rhys ap Maredudd's rebellion was over. Lucia becomes Princess and Countess of the Crusader state of Tripoli. The chapter-house at Norwich Cathedral was under construction between 1289 and 1303. Edward and Eleanor return to England after a three year visit to their foreign domains. A statute passed by Edward I putting an end to the practice of sub-infeudations. Sub-infeudation was the practice of tenants who had rented land from a lord sub-letting the land to other people. The problem with this was that it was difficult for the lord to raise taxes because he did not have control over all the people who were renting his land. The Statute allowed land to be sold according to royal approval as long as the new owner answered directly to the lord or the king. Eleanor of Castile, the wife of Edward I died while travelling in the North with the King. Eleanor had been suffering with illness for some time and the cold and damp of the Winter months probably aggravated her condition. Building work on the Nave and West Front of York Minster took place until 1345. Edward I granted Lawrence of Ludlow a licence to fortify his manor house at Stokesay. The Muslims reclaimed the port of Acre after a siege. Acre was the last refuge for the western crusaders and with the loss of this important port the Crusades had finally come to an end. A small scale war breaks out between English and Norman sailors after a Norman sailor is killed in a brawl with an English Sailor. The Normans demand the English sailor is handed over but he is not and in following battles many sailors were killed on both sides. Things escalate and Philippe of France demands Edward pay homage to him as Edward is Duke of Aquitaine, a vassal of the French King. Edward refuses and sends his brother Edmund instead. Edmund agrees with Philippe to surrender Gascony to the French. The Cathedral is extensively damaged by fire. Bishop Bitton rebuilt the choir at Exeter Cathedral between 1292 and 1307. The Chapter-house and the complicated arrangement of steps leading to them were started in this year and were not completed until around 1310. King Edward I stayed two nights at Cambridge Castle. Edward Balliol arrived in London and asked for men and money for Edward's French war. Diniz, the Farmer King of Portugal, signs a commercial treaty with England, beginning a sequence of alliances between the two countries. Denbigh Castle and its town were attacked during the Welsh uprising. The castle may have been captuted. Madog ap Llywelyn, one of the Welsh rebels, attacked and burnt Caernarfon Castle. Edward needed an army to fight in France and ordered the Welsh to provide men to meet at Shrewsbury. Unwilling to fight abroad, the Welsh took the opportunity to rise up against an English army reduced in numbers due to the problems in France. Edward once again had to fight the Welsh. One of the leaders of this revolt was Madog ap Llywelyn. 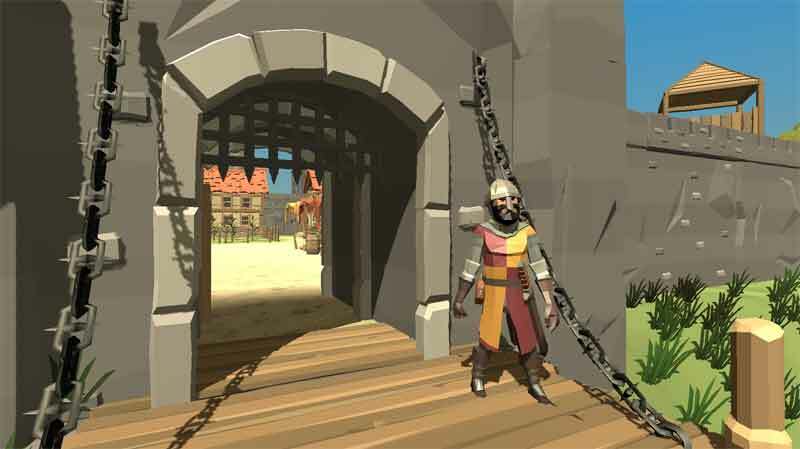 Building work on Beaumaris Castle is begun. Edward I called together a parliament consisting of a cross-section of society; the heads of the church, the Barons and members of the burghs. The parliament agreed that a tax could be raised to allow the king to launch attacks on the Scots and the French. The castle on Loch Ness fell to the English. Sir William Fitz Warine was left in charge of the castle as its Constable. Edward I created a government for Scotland consisting of John de Warnne, Earl of Surrey as Governor; Hugh de Cressingham as Treasurer; Walter of Agmondesham as Chancellor; William Ormesby as Justicar. This English government was very unpopular and soon the Scots where up in revolt. The cloisters at Norwich Cathedral were built between 1297 and 1318. Opposed to his plans to invade Flanders and Guienne, the Barons including the Earl of Hereford and the Earl of Norfolk deserted Edward I. 1500 knights also decided to oppose the plans. Aware of the dangers of the opposition to his power, Edward appeared before a large crowd at Westminster Hall and received total loyalty. Outside Westminster Hall, Edward I made an appeal for support for the war in France. He apologised for high tax demands he had previously levied. He also asked the Barons to swear allegiance to Edward of Caernarvon, the future Edward II, King of England. He received the support he needed. In Scotland, a group of nobles form a confederacy (organised by Bishop Wishart of Glasgow), but were defeated at Irvine. An agreement of submission to Edward I was signed by the future king of the Scots Robert I and other Scottish leaders. Before Edward left for his campaign against the French, he was given a list of grievances by the Earls of Hereford and Norfolk. Two charters were the result, the Charter of the Forest and the Magna. The charters were a big defeat for Edward and meant he could no longer levy taxes as he wished without the approval of the Church, Barons, Earls and other free men. Edward sealed the charters whilst at Ghent in November of the same year. Leaving an unhappy England behind him, Edward left for France to fight Philippe. Pope Boniface VIII made King Louis IX of France a saint of the Church twenty seven years after his death whilst on crusade. A truce proposed by Philippe was accepted by Edward I. Sir Andrew de Moray retook the castle from the English. Edward I held a Parliament at York to discuss the situation in Scotland. It wasn't long before an English army was prepared to go into Scotland.